I have always coupled Power Windows together with Hold Your Fire as the two records that defined the Rush ‘80s sound. Sure, Signals and Grace Under Pressure both started to migrate away from the prog leanings of their yesteryears, but they still somehow maintained a sliver of the organic rock sound of their ‘70s material. Here is where they really went into keyboard hyper-drive and fashioned an album of catchier songs, not pieces of music. At the time, I was already getting into different types of harder rock (or heavy metal) so this one fell by the wayside and I never really gave it a fair shake. I can appreciate this CD now because it is a little clearer as to where Alex, Geddy, and Neil were coming from. Bands like Yes and The Police were able to create music that appealed to mass audiences yet still managed to keep their musical credibility. If a comparison is needed, Power Windows is to Rush what 90125 was to Yes. Both were looking to re-invent themselves and what came out was a very bright sounding album. After the dark and somewhat depressing (even the cover was bleak) of Grace Under Pressure, Power Windows was like a ray of sunshine. It ushered Rush into a new sound, if only for a couple of records, but it was an experiment that worked. 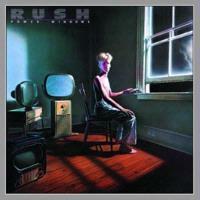 I have never completely ignored a Rush release but in 1985, I didn’t give this much “air” time. Fast forward to 2009, and I pull out this CD on a regular basis. This is one of their older releases that I would highly recommend you go and rediscover. The CD opens with this upbeat bouncy rocker. Sure it’s dominated by keyboards but Lifeson makes his presence felt with some nice guitar work. This was the hit from record and after listening to the whole album, it is easy to pick this one as the most accessible. This is a band that is leaving their prog behind and writing catchy songs. Although it was a hit, I find “The Big Money” to be the weakest song on the whole CD. I hear a little bit of The Police on this bouncy tune. Listen to the guitars and you will hear how they scream the ‘80s. There is a brightness to the whole affair and Peart gives us his usual intelligent lyrics. Although this is a bit poppy for a rock band like Rush, they did not let the lyrics suffer. There was still musical credibility to retain. This could have easily come off of the “War Games” soundtrack. The beginning has that “movie” sound and the subject is perfect for that film. Rush stretch their musical muscle on this one and give us more than just a song. They build a mood with multiple parts and I feel that this was their nod to their older fans to show them that they can still “prog it up." Geddy Lee puts in a nice bass performance on this cut. The bridge right before the chorus has a nice groove that I was hoping they would continue but it switches really quickly to a very upbeat chorus. Lifeson does his best to show that guitars are necessary to the Rush sound by adding in one of his better solos from the 80s. Like “Manhattan Project," there are little prog elements thrown in to keep the record from being one dimensional. There is an accessibility to this tune but there are enough twists and turns to keep it off radio. I like the fact that the guys still write album tracks. Each song was not meant to be a hit and although this has its catchy hooks, it still moves into too many directions to be anything more than a “deep cut." Musically, this track is very different from “Subdivisions” but lyrically, Peart paints us another picture of American life. It’s almost a darker Norman Rockwell look at Middle America. As far as the music goes, it doesn’t have the same hit quality that “Subdivisions” has but it makes up for it with a catchy chorus and a great guitar solo. This cut starts with an Asian type sound and really gets its ‘80s groove on as the song unfolds. There is catchy chorus but that is the worst part of the tune. If they had stuck to a little bit of a guitar sound instead of the sweeping keyboard washes that dominate this record, then I could see this one being a fan favorite for future years. Instead, the chorus really dates it and it ruins it a little bit. This track is still better than “The Big Money." Talk about saving the best for last. This was another hit for them (along with a cool video) but it did not have any of the qualities of the usual fare on the radio in 1985-86. As the title would suggest, it is a very rhythmic tune that has Peart creating some great sounds from his drum set. The keyboards create a mood instead of taking over the song and even Lifeson gets his parts in to make this the gem from Power Windows. Honestly, although this is one of the weirder songs in the Rush catalogue; it is still one of their best pieces and is worth the price of the CD alone.